As a Pakistani I am fond of music, whether it is Pink Floyd, Led Zeppelin or Guns n Roses. I will listen to them all because I like good music. The new era of music has really been disappointing to say the least. The music coming from the west has been pure abysmal and the Pakistani scene was no different. Until a few years back when everything changed and Pakistani songs started sounding better once again. With joint collaborations of big old time bands to bring out the new talent of Pakistan, a genius rose. The Genius of music in all its glory taking the Pakistani music industry to the top once again. 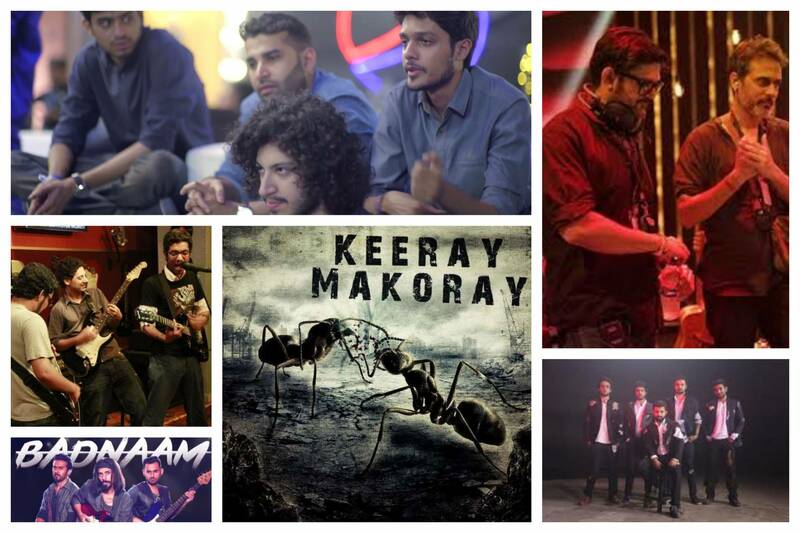 Nowadays there are so many different Pakistani bands making pleasant music from rock to folk. Everything is being covered. We have good individual singer and amazing bands. From raspy voices and wailing voice to soft and sweet voices. Pakistan is full of diverse singers and instrumentalists who are beyond excellent. The amazing thing is most of them are self-taught. We all love the old golden Pakistani Songs, they are amazing and certainly deserve to be listened to again and again. But, to the give the new era of Pakistani songs a limelight I have decided to make a list telling you the top 9 songs I have on my rotation and why you should have them too. Khwaab has to be one of my favorite songs that has come out recently in the Pakistani music industry. It is a complete rock song, with good vocals, amazing rhythm, good lyrics and a beautiful guitar solo. It has everything any rock head wants in a song. I would totally recommend this song to anyone who wants to get into the rocker vibe. Keeray Makoray has to be my favorite band simply because I love hard rock and metal. It is sad that they have disbanded at the time of writing this article, but their glorious music remains. This is one of their more slow songs that will appeal to everyone. It also has a beautiful guitar solo and the vocals are just amazing. All of their songs are sung in English but with such professionalism that it puts western bands to shame. As you can tell I am a huge fan. Do give this a listen if you haven’t already. Strings are veterans of the Pakistani Music industry and they never cease to amaze me. Whether it is their lyrics, composition or just vocalization, everything is spot on perfect. This song features an amazing guitar solo which makes me want to die and the soothing voice of Faisal Kapadia always gets me. It is a perfect song for everyone wanting to get in their feels. It is no secret that Atif Aslam is a mega super star with a voice of an angel. He always delivers with his soul touching voice whether it is a rock song, pop song or even a sufi kalam. He is a diverse singer, song writer and composer. Thaam Lo really had me feel something deep and meaningful within me and I am sure it will do the same for you. It is a song from a movie so listen to it even if you are against songs being made specifically for movies. It is safe to say that the people behind E Sharp have to be few of the most inspirational individuals out there. Being doctors and lawyers and still taking out time to pursue their passion is a feet on its own. Their music is immaculate and I hate it that they don’t get the fame that they deserve. 600 saal is a beautiful song with funny but understandable lyrics, beautiful composition and of course superb vocals. Listen to this if you are in an upbeat mood or any mood for that matter. Soch is an underrated song by Kashmir but it really shouldn’t be. It has meaningful lyrics, smooth and soothing composition, an amazing guitar solo and excellent vocals by Bilal Ali. It is one of Kashmirs finest songs and that is why I have listed it here so that I can get this beautiful song to as many people as I can. Din Dhalay is a beautiful song with a message in its lyrics. It gave me goosebumps when I first heard it and it has been doing that to me ever since. It is also kind of motivational if you take it in a sense where you see it as a story. With it’s slow methodical composing and its beautiful lyrics matched with the song bird like voice of Asfar Hussain the song is a complete masterpiece. I just love this song, it made me cry the first time I heard it playing in the cinema. Yes, i cried in front of all those people but I am not going to hold back my tears when there is an amazing song being played. I am pretty sure everyone in that cinema could agree with me that they got teary eyed. Moving forward to the song from me being a total man. I literally have no words for this song, Farhan Saeed’s beautiful voice and its lyrics made me get in a different kind of zone. A zone of patriotism, love and freedom, it had all the elements that a song should have. It is a must listen if you haven’t already. Now add all these songs to your playlist and just lay in bed and give them all a listen and you’re welcome, you can thank me later.